My job, like many others, requires a significant amount of travel. I am in the air two or three weeks out of the month. Traveling for business can be daunting as you race from airport to airport. Between managing your frequent flyer miles, hotel rewards and electronics, finding the best gear can be expensive and boring. To take away some of the pain, I’ve created a list with the best travel gear I have used. I’ve found buying online easiest, because my time is limited rather than scavenging the airport gift shops and overpaying. When utilized, these items will optimize your travel with minimal luggage and speed up travel through airports. 1. Samsonite Liftwo Spinner 21"
This suitcase has served me well as a rugged, light weight, multi-purpose travel machine. The 360° turn radius of the wheels make it easy to maneuver through crowded airports and down the isle of narrow airplanes. It fits comfortably in the overhead compartment and the sturdy shell protects its contents. With a price tag under $100, it’s hard to resist this light weight carry-on. 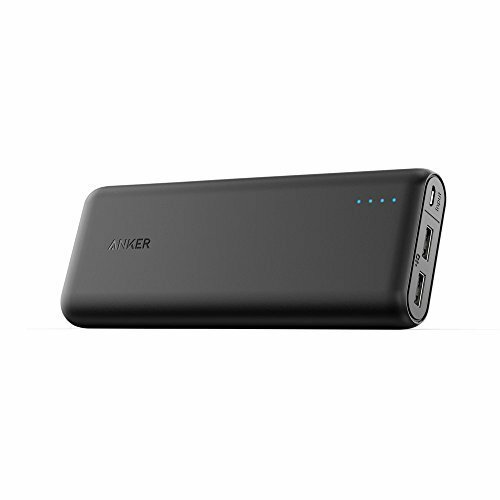 The Anker Portable Charger will charge your iPhone 6 seven times, iPad mini twice and Samsung Galaxy five times. The charger comes with a Micro-USB cord, carrying pouch, two USB ports and one Micro-USB port. Anker also includes an 18 month warranty. The charger itself will recharge in 10 hours allowing you to keep your devices charged for days thereafter. Of the various chargers I have used, this is by far the fastest and most long-lasting charger I’ve had. I can charge my iPhone 6 several times and my iPad and still have 50% life when I return home from a trip. This ergonomic mouse is a cordless option with a small USB connector for your laptop. The mouse is shaped to emulate a handshake and leaves your wrist in a natural position reducing stress and discomfort. It is great for long hours on a computer, leaving your wrist feeling relaxed. I’ve compared it with several other optical mice and there is simply no comparison for comfort. I have smaller hands and as intimidating as it was at first, it has become a perfect fit. At less than $25, it can’t be beaten. 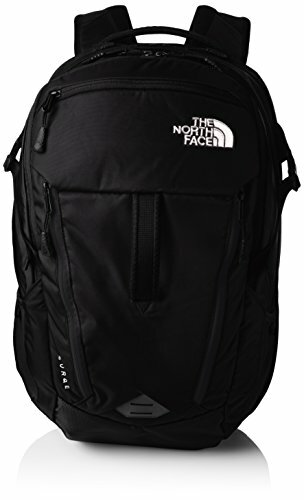 North Face makes a strong and large backpack great for travel. It has six pockets, several straps and three padded areas for devices. There is a large pocket on the back of the bag to hold a laptop up to 15 inches, a center compartment for carry-on items, such as, spare clothing and an electronics compartment near the front to hold a tablet , cords, and chargers. The laptop section opens flat, making it TSA compliant, allowing you to leave it in your bag through security. The straps allow for more support with chest and waist adjustments, having saved my back. This has been my most valued investment for business travel. This Bluetooth keyboard has been a valuable piece of equipment when I am traveling on an airplane. Space is often scarce and this takes up much less space than my laptop. It has a protective aluminum cover without adding bulk when closed and has magnetic groove for standing. The keys are full size and make typing on a smaller surface seamless. Logitech has been around for many years and makes a great and sturdy product. The gear I’ve listed will get you well on your way to hassle-free travel. My tips are to pack light, consolidate and prepare. Whether you are a seasoned traveler or a new entrepreneur seeking your next big client, these items will make your life much easier.